When you see the Grab mouse cursor, click and hold on the snapshot. 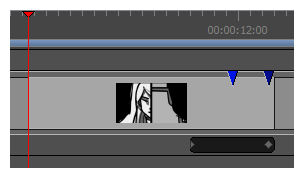 Drag the snapshot either to the left beyond the starting point of the panel, or to the right beyond the ending point of the panel. When the snapshot is taken too far and disappears, release the mouse button.